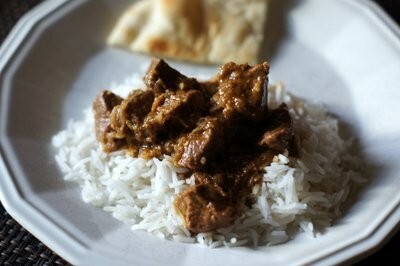 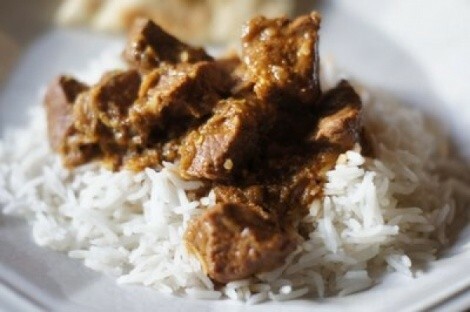 Here is a favorite Indian curry recipe of mine. 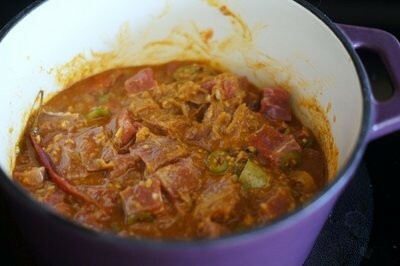 It has rich, complex flavors and a fair amount of heat, although it's not mouth-scorching. 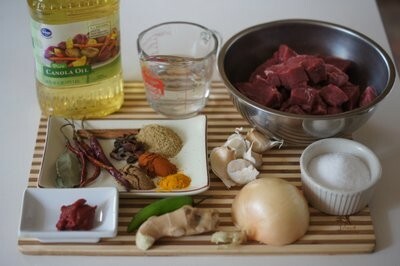 --- You could easily substitute boneless chicken pieces, pork, or shrimp for the beef. 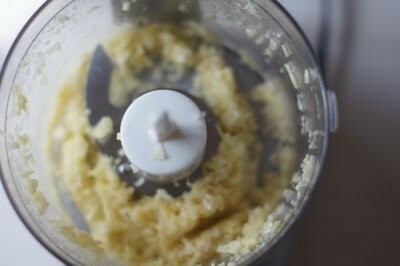 Using a mini food processor or blender, grind the garlic and ginger into a pulp or paste. 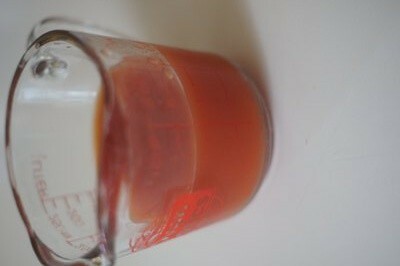 Dissolve the tomato paste in a 1/2 cup of water. 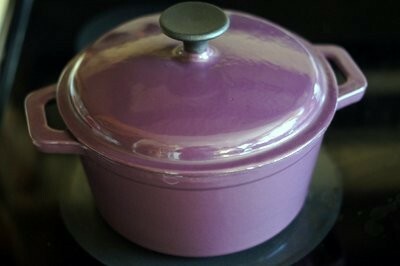 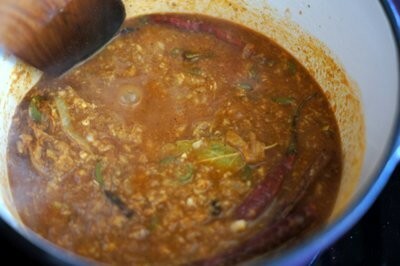 Over medium heat, heat the cooking oil in a medium-size sauce pan. 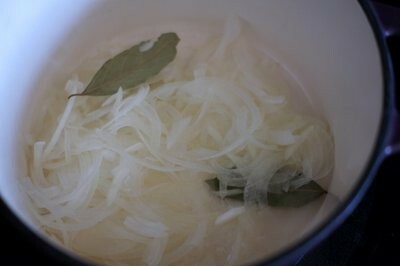 Add the onion slices and bay leafs and saute until lightly browned, 5-7 minutes. 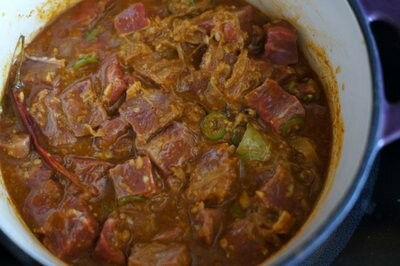 Add the garlic paste and sliced chiles to the pot and cook, stirring for a minute or two. 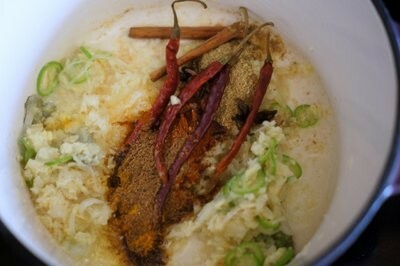 Add the coriander, garam masala, cinnamon, star anise, dried chiles, turmeric and cayenne. 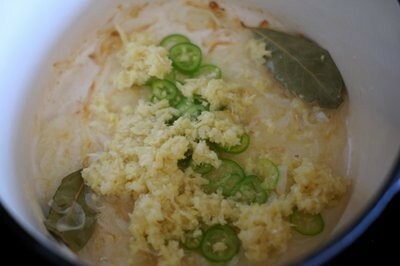 Stir and cook for a minute or two, until fragrant. 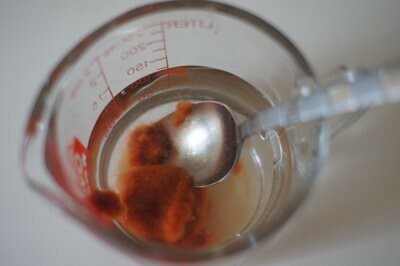 Stir in the tomato paste dissolved in water and give the curry a good stir. 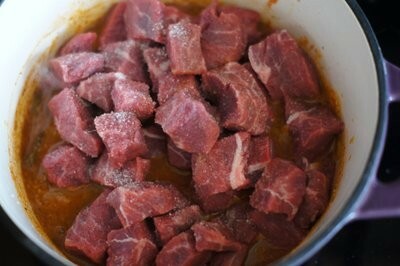 Add the beef to the pot, season with salt, and stir well to coat the beef with the spices. 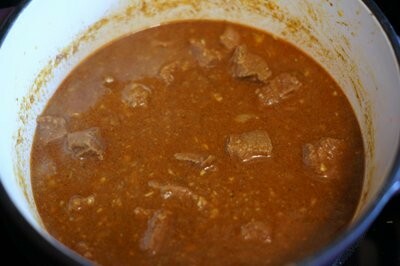 Cover the pot and cook the beef curry over low heat - just barely a simmer - until the meat is tender, about an hour and a half.